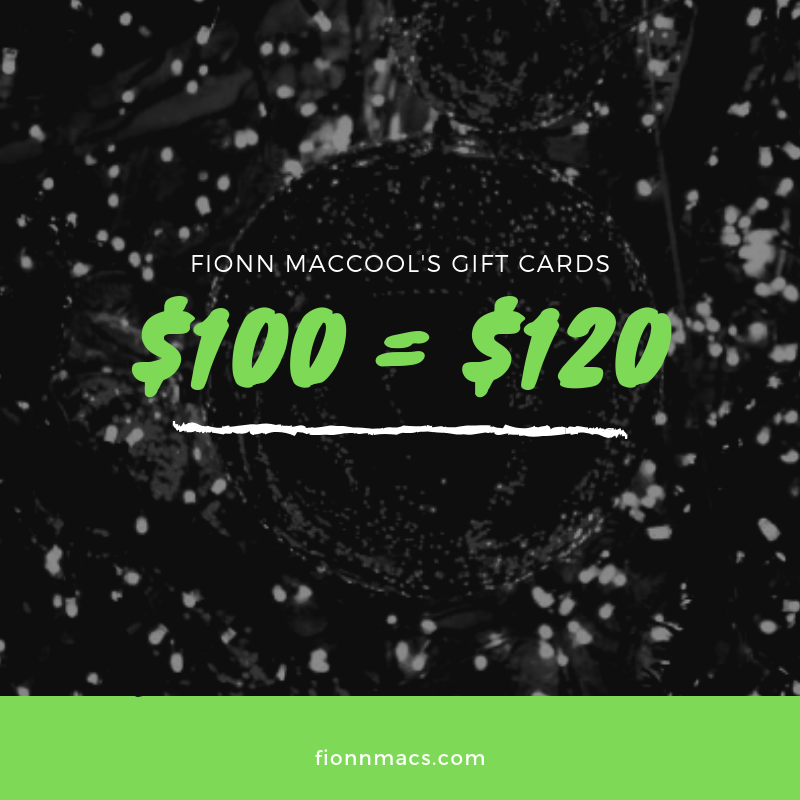 Fionn Maccool's » Holiday Gift Cards! Now through Christmas Eve, we are offering $20 extra for every $100 purchased on gift cards. Put your money to good use this holiday season and give people what they really want! To purchase, click here or stop by either of our locations.